Seyi Sodimu releases the remix of his hit single “Love Me Jeje” featuring American R&B sensation K. Michelle. The song which was previously released years back, was a monster hit and helped launch his career. The collaboration, which was released on May 30th 2016 was produced and recorded in Atlanta, Georgia by Shizzi and the video was also shot in Atlanta by Sesan Ogunro of Film Factory. The A&R for the project was done by Bankulli and additional vocals by Password and Duzzi. Live Guitar by Fioke and special thanks to Eric Cire. 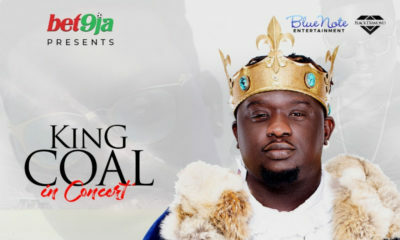 Seyi Sodimu (also known as Mr. Jeje) is known for his hit singles  Love me Jeje and Money Man. He is also considered one of the pioneers of the new sound of the ever-growing Nigerian Music Industry of fusing native languages with English lyrics. 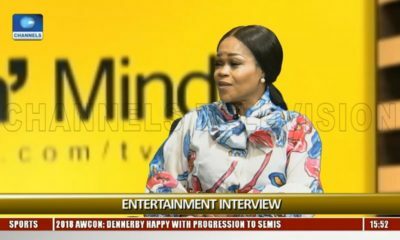 Seyi is an international artist who has performed at the prestigious Press Club in Washington DC, performed alongside Wyclef Jean, worked with Ginuwine, and collaborated with reggae star Wayne Wonder and many more. The classic song has been completely reproduced with a new verse written for K. Michelle in an effort to perfectly marry R&B and Afro Soul, which proved to be perfectly successful. 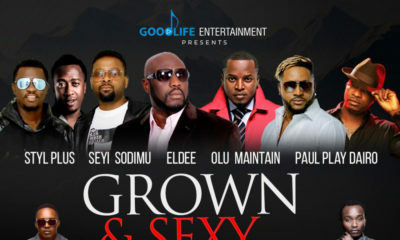 Seyi Sodimu, who founded the independent label Goodlife Entertainment in 2001, is working on his fourth album, which is due for release later this year under the label. Nothing special except the aerial view of ATL. Even K Michelle sef be like one of dem naija babes. Biko we have moved on from this song. Retire it…. On another note, why do Yoruba men have the same kind of mouth? Seyi Sodimu’s mouth looks like Dele Momodu’s mouth …..So wide and loud! And instead of losing weight, he’s been adding more and more! @Iyke, Dele Momodu is an Edo man from Owan East, every single thing has to come down to tribe with you idiots, grow up abeg! Yikes sorry Iyke, if you have nothing sensible to say please shut it. Tribalistic nonsense. For 7 likes?? E be like say seyi na your ex, na why the thing dey pain you abi? comedian! Love dis so much!!! The song is nice. Love d remix. He shld bring her to naija for a show!!!! Would b awesome. @iyke you obviously havnt embarked on any major sensible project before, dts y it’s so easy for u to just wash off a money, time n creativity consuming effort dt d owner holds dear to his heart.. n you must be a very rude child to boldy throw insults at yoruba men who re older and far better placed in life than you are. Love me jeje is an evergreen song, n those of us who loves the song will continue to love both d original and every remix versions dt comes up.. it’s nt easy to have a dream n actualize it.. pls let’s encourage each other. I am actually surprised at how much I love this remix, cool stuff! In some way this song represents Nigeria and its complexities. There is the image that one sees of great potentials of the country, And there is the reality of a broken country tottering on the edge of failure. In this broken state , nothing works, and everything else in life is aspirational. The young generation must wake up, there is fire on the mountain. Ewo!! Lol he looks so different!